If you love cookies and you like pumpkin these chocolate chip pumpkin cookies were made for you! Curb your chocolate craving and satisfy your sweet tooth with these delectable chocolate chip pumpkin cookies. There is no gluten, dairy or refined sugar in this recipe which is suitable for many of the top allergens that most people prefer to avoid. 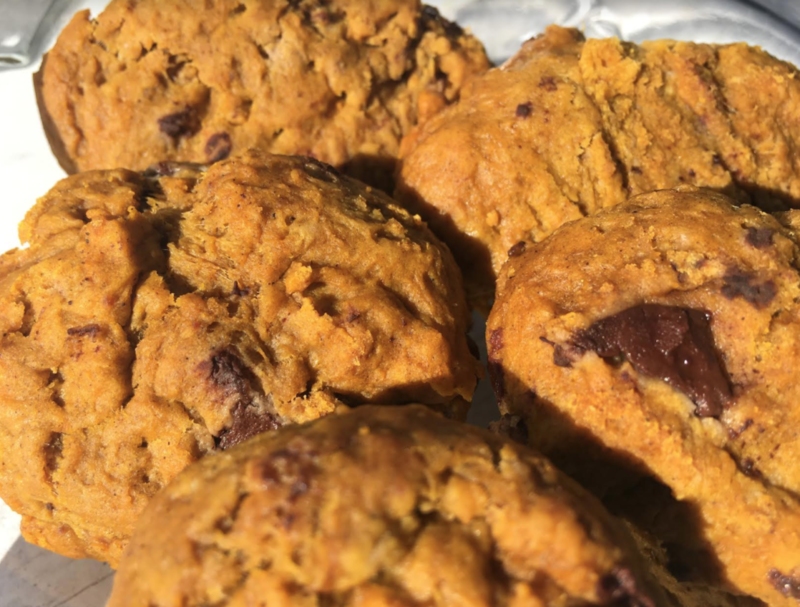 You can leave the guilt behind and enjoy these chocolate chip pumpkin cookies because they are made with all healthy ingredients and will fuel your body. By using Complete Truth Protein not only does it make them gluten free but it will fill your body with a ton of essential nutrients leaving you feeling full and satisfied for longer. Don’t wait, pick-up your ingredients today and try these out for yourself. They only take minutes to prepare. Preheat oven to 350 degrees celsius. Line a cooking sheet with parchment paper. 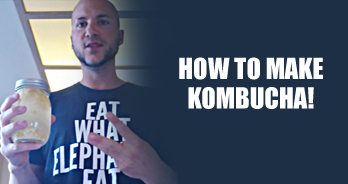 Place all ingredients in a large bowl and mix until well combined. Using a heaping tablespoon, spoon batter onto cookie sheet. Roll the batter into balls and flatten with a fork. 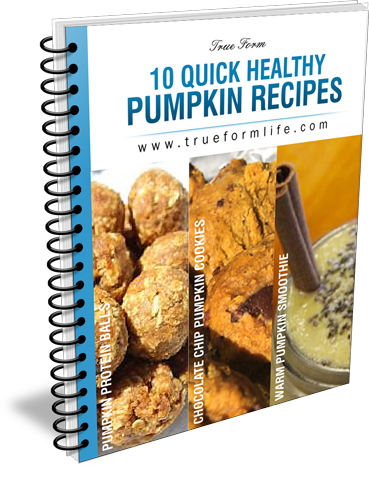 We’ve got 10 Quick and Healthy Pumpkin recipes available as a FREE download. Get it here.